Consumers use mobile devices while driving. And even though they are concerned about safety they refuse to give up their devices. They even want more capabilities. Much is being discussed today about the dangers of using mobile devices while driving. Some states have enacted laws making texting or the use of cell phone while driving illegal. But despite the safety concerns, drivers view cell phones and music players necessary items to their driving experience. In fact, consumers want more capabilities and more convenience. Rimma Katz reporting in an article for Mobile Marketer, cites a study conducted by G2 Marketing which indicates drivers are very much attached to their mobile devices, and feel disconnected without them. The study indicated that drive time has become work-time or stay-in-touch time via phone calls. Time spent driving is no longer viewed as down time but is used as catch-up time for business and personal conversations. When confronted with the dangers of such activity, drivers were not willing to give up their devices but rather wanted hands-free capabilities. “Drivers wanted wireless capability permanently installed in their vehicles, using installed speakers, and felt his would allow them to pay more attention to the road while using their phone” stated Gretchen Gehrett, president of G2 marketing. Gehrett continued, “Today’s in-vehicle environment reflects the societal trend of being given exactly what we want, when we want it.” It’s all about convenience and maximizing the time we have. The purpose here is not to discuss the pros and cons of using mobile devices while driving. Or to highlight the potential safety hazards. The intent is to point out how attached consumers are to their cell phones and how it is viewed as an ever-present necessity. Mobile phones have become part of our person and we can hardly stand to be without them. That is a marketing lesson. With people being more and more dependent on their phones, we must discover how to enter that world to effectively communicate and become engaged with consumers. BMW claims to offer “The Ultimate Driving Experience” but it may be more certain to say that the driver and his cell phone is “the ultimate driving experience”. With the increased penetration of smart phones, consumers are becoming more and more dependent on their cell phones for just about every form of communication. This presents opportunities for companies, hospitals and brands to market themselves to consumers. Over 82% of Americans now own a cell phone. And 60% of those phones are less than a year old. The increase in smart phones is growing exponentially. 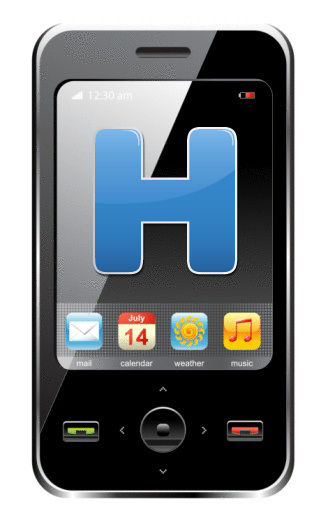 And smart phones are equipped with more and more communication and information options. Soon the cellphone will be used for almost all forms of communication and information gathering – texting, emailing, internet search, GPS, electronic coupons, and more. Consumers are connected to each other and the world via their cell phones. This creates opportunities for brands to market themselves to consumers via mobile marketing. 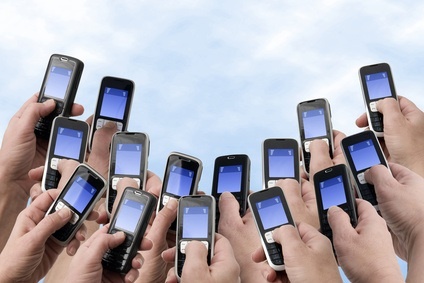 One of the compelling advantages for mobile marketing is its omnipresence. Frank Powell recently discussed omnipresence as one of the advantages of mobile marketing in an article in Mobile Marketer. He cites that mobile phone users are within arm’s reach of their phone 90% of their waking hours. And much of this time is when other media are not available. Mobile phones are not location-centric but are person-centric. They are where the owner is. 1. Customers can always be reached. 2. Customers can almost always be interrupted. 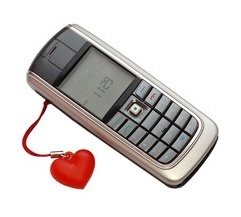 Although the invasive nature of cellphones cause heartburn for many people, it is a medium that cannot be ignored. Just as social media has begun to be included in hospital’s marketing plans, we must turn our eyes to mobile marketing and be ready to take advantage of the unlimited opportunities it will offer. Never before has there been a medium that is so ever-present with our customers and patients. And there has never been a medium upon which our customers and patients have been so dependent.